Meet Adun. Finally free after being trapped 18 days underground in a Thailand cave, this brave sponsored teenager has a unique story and played a key role communicating with the rescue divers during the chaos. Alongside his team mates, Adun’s ordeal captured the world’s attention. 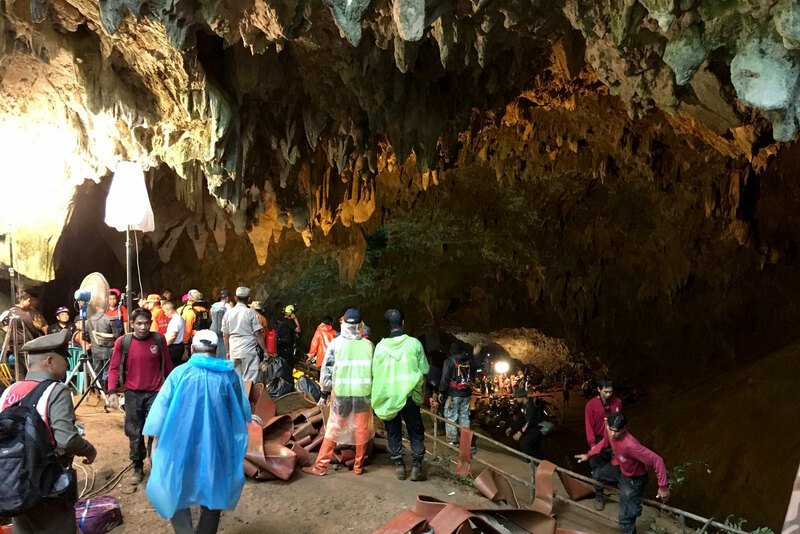 Aged between 11 and 16, 12 boys and their 25-year-old football coach ventured into the Luang Nang Non cave in northern Thailand, unaware they would not see the outside world for almost three weeks. Heavy rain flooded the cave, trapping the boys in an elevated chamber, four kilometres from the entrance. It seemed only by a miracle that these boys were discovered, after the heroic efforts of rescue teams. 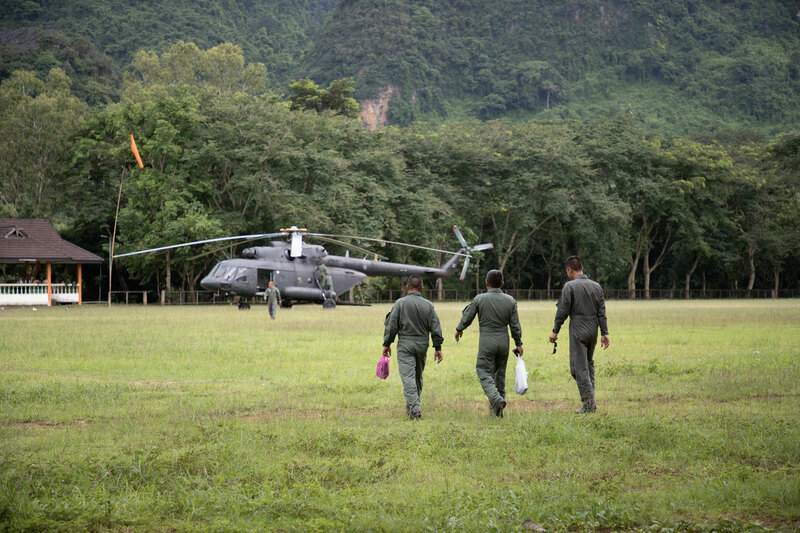 When a local search party found abandoned shoes and bikes outside the cave, a major search operation commenced and experts from around the world made their way to northern Thailand with the determination to find the boys and return them to safety. When the football team was first found by the rescue divers, Adun, who speaks English, Burmese, Mandarin and Thai, played the key role of interpreter. Adun communicated with the divers, translating for his team mates and delivering the news that made the world breathe a sigh of relief: when asked how many were in the cave, Adun answered “thirteen”. But even before he played this key role in communicating with rescue divers in the cave, 14-year-old Adun had a powerful story to share. What happens when you can’t prove who you are? Adun has been known and loved by staff at Compassion’s local church partner since he was seven years old. His parents are part of the “Lua” ethnic group. 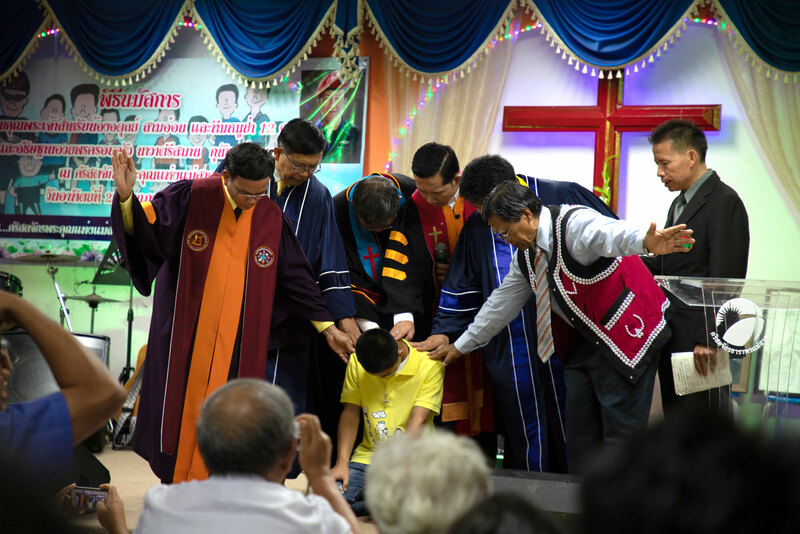 Wanting to give their son—the eldest of five children—the best opportunities to get an education and serve God, they took him to a church in Thailand where Pastor Go Shin and his wife began caring for him. They also registered Adun into the Child Sponsorship Program. But why did Adun’s parents leave him in Thailand? Nearby countries are prone to conflict between ethnic groups, civil unrest, and politically motivated violence. Giving Adun the opportunity to grow up in Thailand would give him the life his parents always wanted him to have. 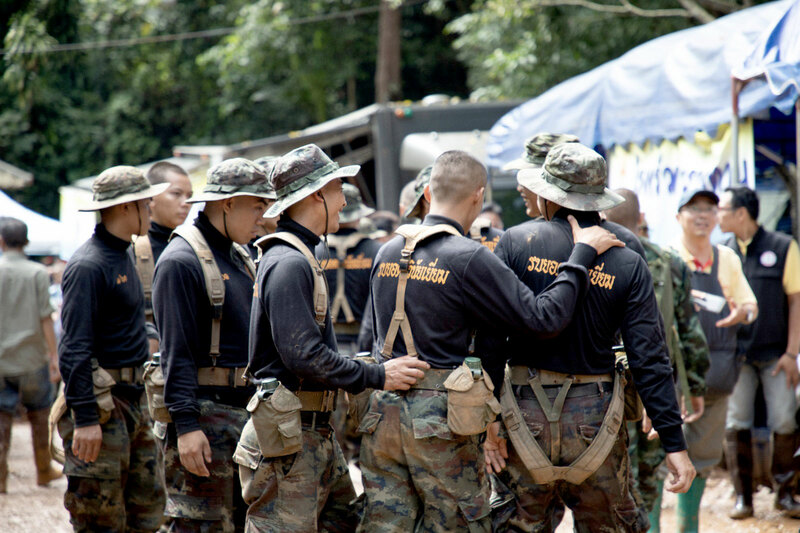 Despite this, living in Thailand without citizenship can have dangerous consequences. Besides the risk of trafficking, these migrants and their children don’t have the same access to health care or education as regular Thai citizens. Without citizenship, students don’t receive an official certificate after graduation and many avenues of employment are closed to them, as is higher education. They cannot own land and they are not free to live or work outside of their province. A lack of citizenship also negatively impacts children’s ability to get an education. To benefit from government education and enrol in school, they are often required to provide a birth certificate—something they don’t have. Because of this, many ethnic tribe members are unable to attain citizenship due to complex regulations and a lack of documentation—how can you prove who you are and where you’re from if you don’t have a birth certificate? 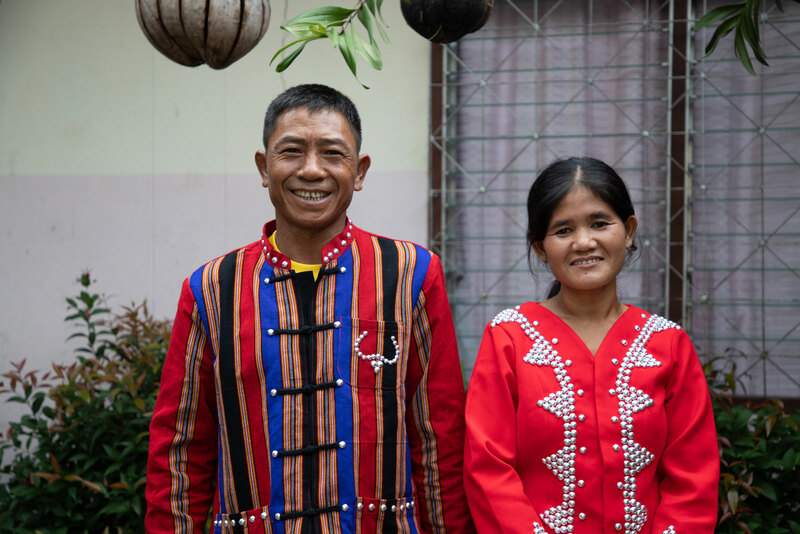 Adun's parents are dressed in traditional ethnic Lua dress for a special thanksgiving service at Adun's church. To combat the lack of legal status, Compassion Thailand staff work vigorously with government agencies to help eligible children in this situation to receive their citizenship. In the last few years, Compassion Thailand has assisted hundreds of children to attain citizenship and identity cards. Even before he was trapped in the cave, staff had been helping Adun with the citizenship process to open up new opportunities to him. “We will keep everything simple and help Adun have a life like what it used to be for him,” says his caregiver, Pastor Go Shin. This is Mue-bule-tu. Compassion is also helping Mue-bule-tu’s family get Thai citizenship.“Without citizenship or an ID card, I can hardly find a job or decent pay. What I do earn is very little and I can’t travel out of this area or I will get arrested,” says her mother, Norpoe. Since being discharged from the hospital on July 18, Adun has returned to his home at church with the local pastors. While 11 of the boys who were trapped by his side went to a ceremony to become novice Buddhist monks on July 25, Adun did not attend. Instead, he was involved in a thanksgiving service at his local church and Compassion centre. 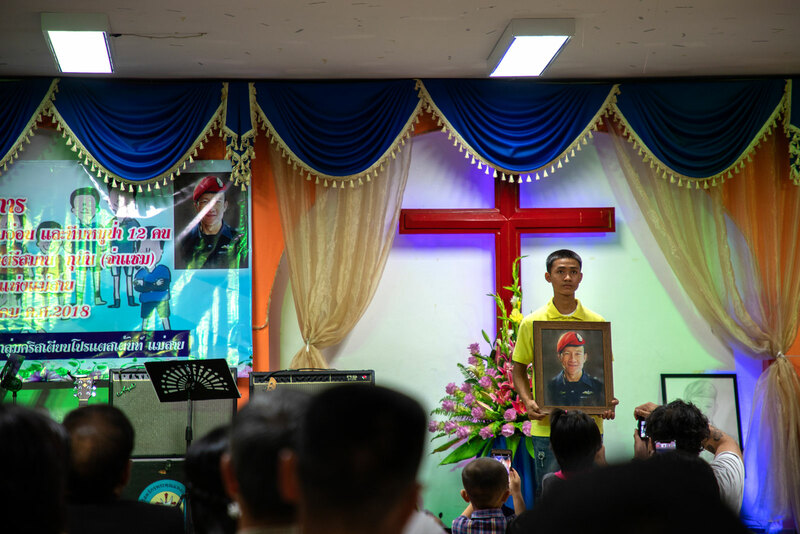 At this service, they also spent time honouring the life of the Thai Navy Seal who lost his life on the rescue mission. Adun shared the following testimony during the service. “By the 10th night, we were losing patience, hope, physical energy and courage. We could not do anything to help [the situation]. The only thing that I could do was to pray. I prayed ‘Lord, I’m only a boy, you are almighty God, you are holy, and you are powerful. Right now, I can’t do anything, may you protect us, come to help us all 13,’” he said. In addition to being a gifted, multilingual student, Adun regularly leads music at his church. He also hopes one day to be a doctor and a professional soccer player for Chiang Rai United Club. At a recent press conference, Adun says the ordeal has changed his outlook on life. "This incident has taught me that not thinking ahead before we do something is something that will affect our future," he said. "As I survived this incident, I will live a fuller life—fullest life—that I am able to." In the darkness of the cave, Adun let his light shine. Now he’s outside, it shows no sign of dimming. We are so thankful for everyone who covered the football team and their families in prayer. Please continue to pray for Adun’s citizenship, as well as the thousands of other displaced children in Thailand. Note: Compassion is respecting the Thailand Government’s wishes to protect the football team’s privacy and has not and will not conduct interviews with Adun unless the government allows it and Adun himself is willing. Field reporting by Piyamary Shinoda, words by Ellyse McCallum and additional reporting by Amber van Schooneveld and Monique Wallace. Excerpts of this blog are from articles previously published by Compassion Canada and Compassion Australia.